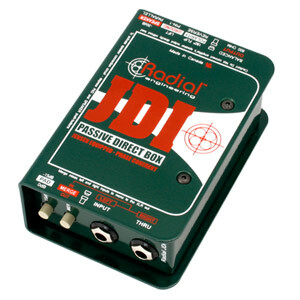 Passive DI boxes require no power to operate and can handle high signal levels with ease. 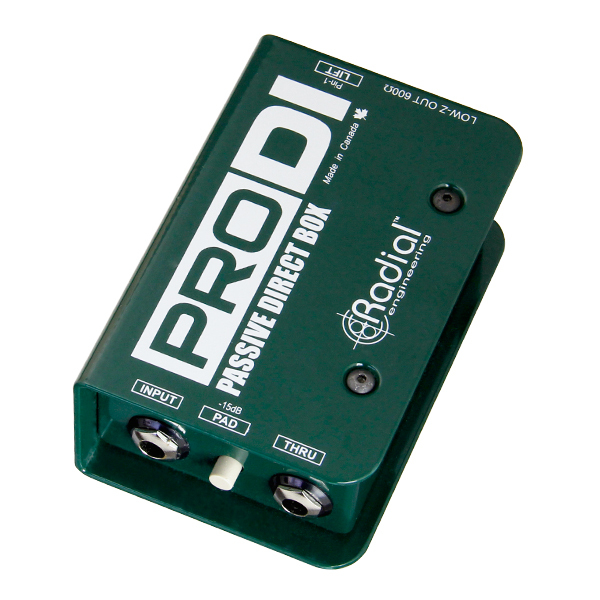 These are typically preferred by musicians with active instruments like a portable keyboard. 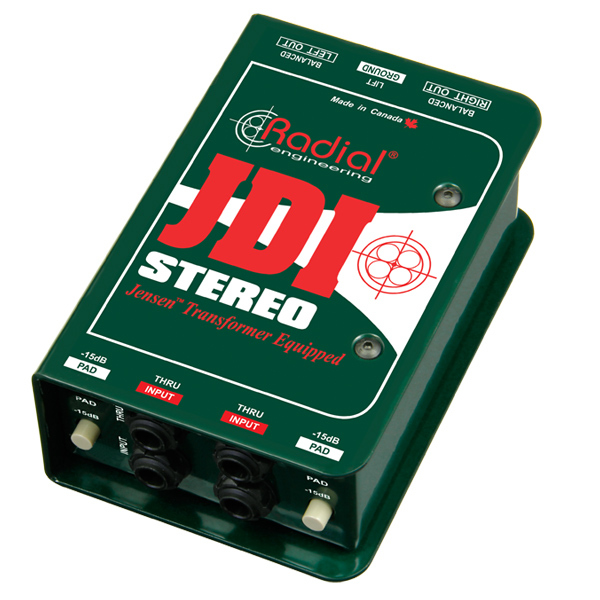 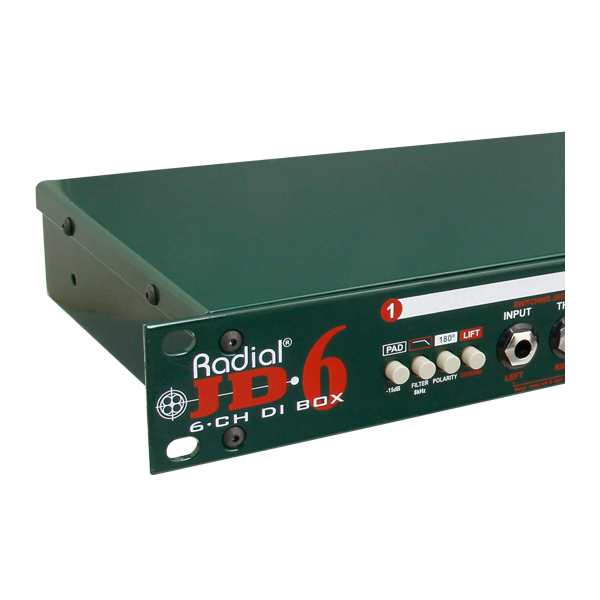 The Radial JDI is a warm sounding passive direct box that can transfer extreme signal levels without distortion while eliminating hum and buzz caused by ground loops. 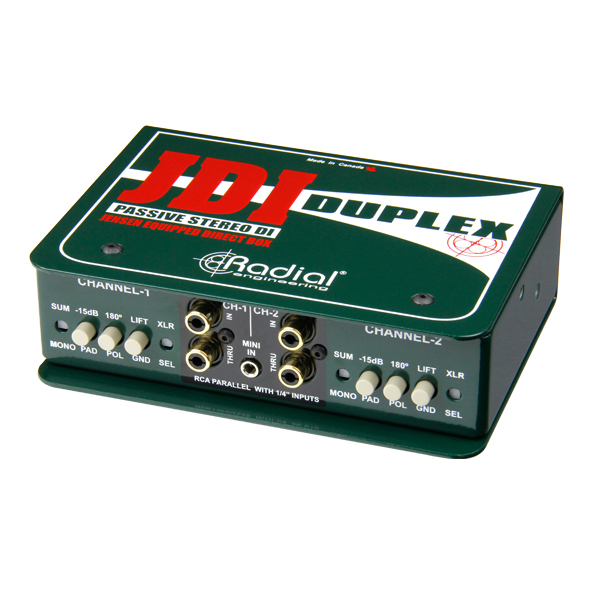 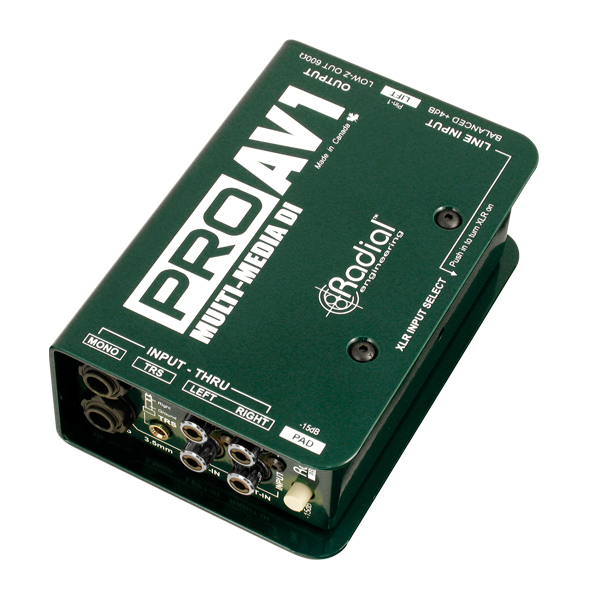 The Radial ProAV1 is a passive direct box with stereo-to-mono merge function designed specifically for the audio-video integrator to reduce channel requirements. 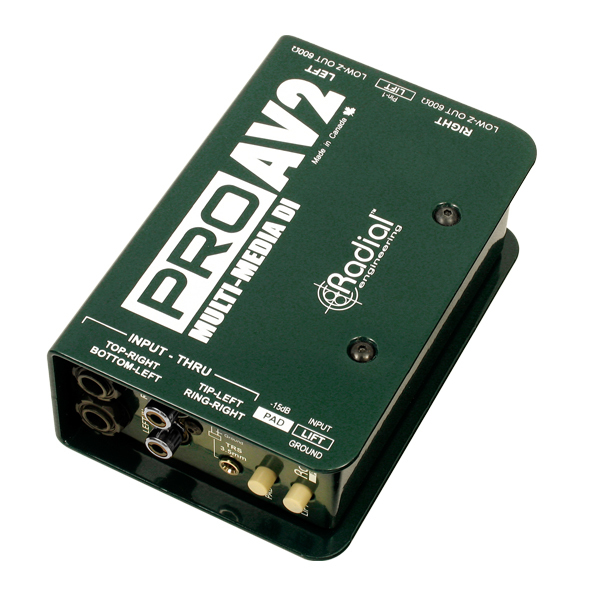 The Radial ProAV2 is a stereo passive direct box designed specifically for the audio-video integrator in mind. 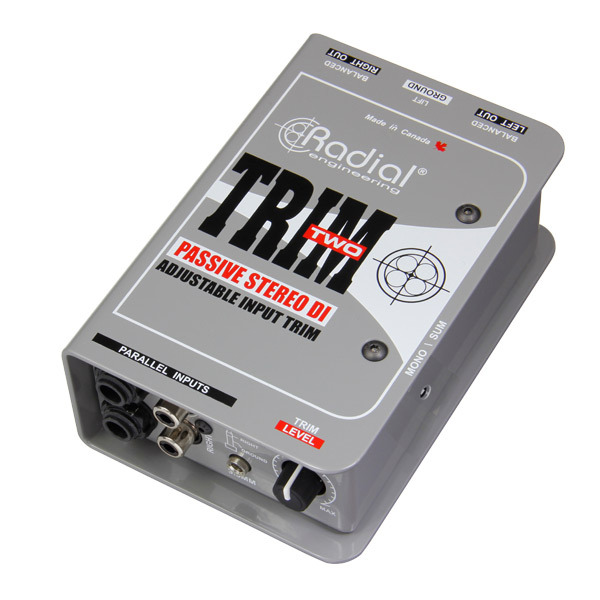 The Radial Trim-Two is a passive direct box, designed for use with laptop computers and other consumer type devices where the user has a requirement for a ‘ready access’ volume control for quick adjustments on stage. 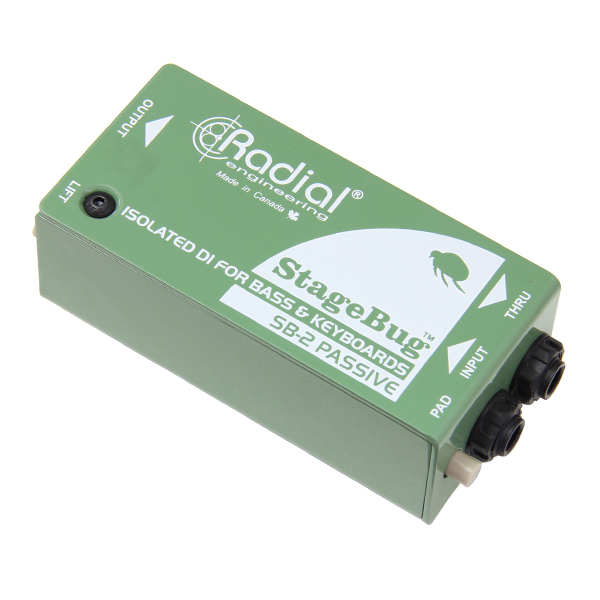 The Radial SB-2 is a passive direct box designed for keyboards and active bass. 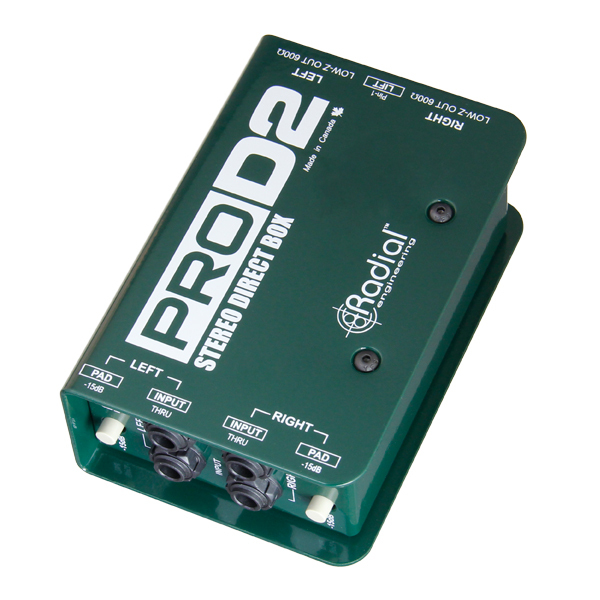 Features stereo to mono mix function to save mixer channels. 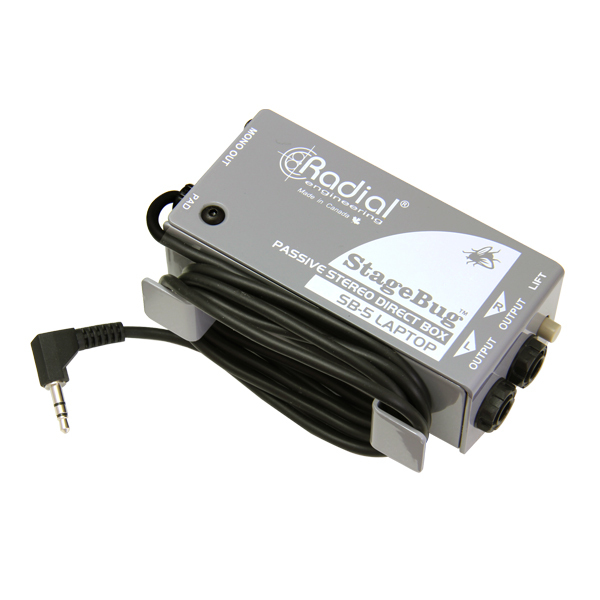 The Radial StageBug SB-5 is a compact stereo direct box designed to accommodate laptop computers, tablets and other consumer audio products when amplifying the signal through a PA system. 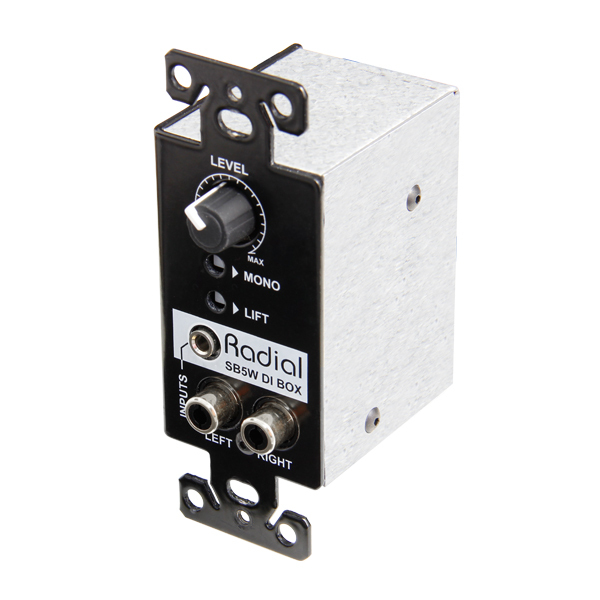 The Radial SB5-W is a passive stereo direct box designed to fit inside a standard electrical wall box and utilizing a Decora wall plate cover. 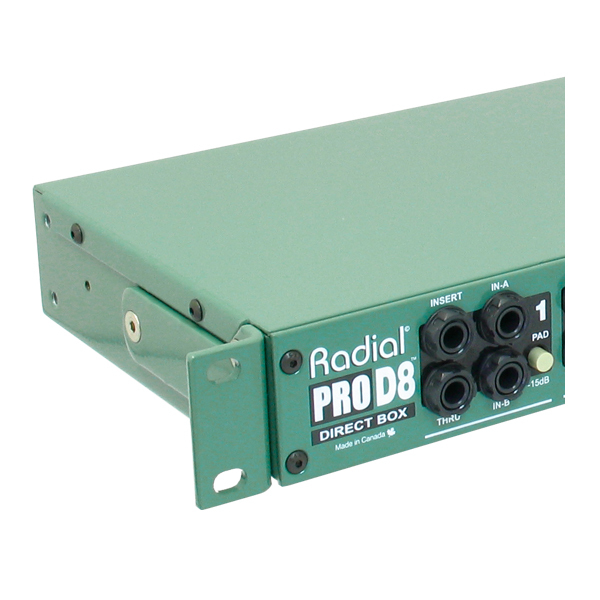 The Radial ProD8 is a high performance 8-channel passive direct box optimized for keyboard rigs in professional touring.